Fausto is always into something interesting! 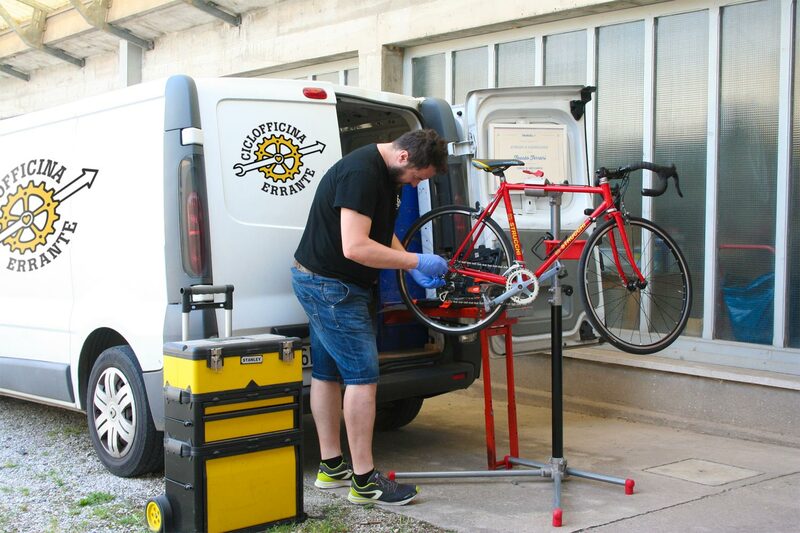 He recently had the idea of starting up a movable bike repair shop. Instead of asking the customer to load his/her bike in the car and drop it off somewhere (and pick it back up when finished), now he/she can just pick up the phone, call the Ciclofficina Errante and Fausto will stop by himself and either repair it on the spot or take it to his lab and bring it back when it’s ready! We wanted to start out with the basics: a good logo, a Facebook page and a small business-card-like promotional piece. 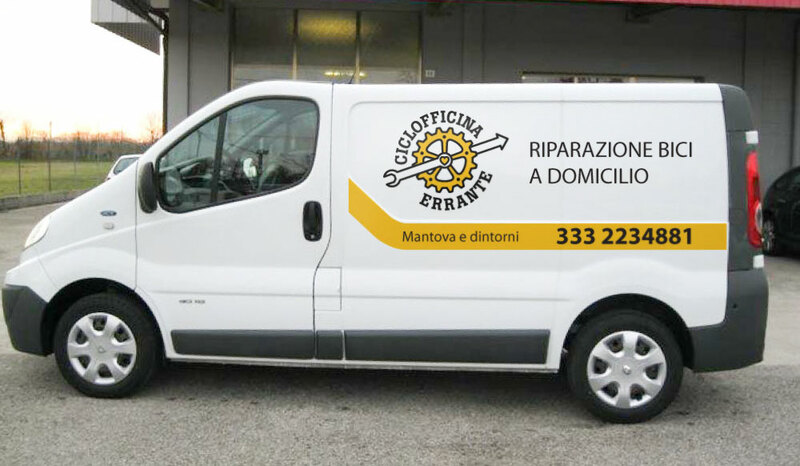 The logo needed to express movement (pick-up/delivery service), give the idea of mechanical repair and have a clear visual reference to the bicycle while stying away from the use of the bicycle shape itself – which is greatly overused. We also wanted to keep the logo on the ‘light/happy’ side – something that had a bit of humor to it yet is classy. I really liked the bumblebee concept (see the proposed logo) with the chain links as wings, but we ended up discarding it because we felt like it didn’t communicate the bicycle and repair aspects clearly enough visually. I am happy with the way the final logo turned out. The bicycle chain ring provides a clear visual link to cycling and there is definitively motion in the logo. Instead of the typical business cards, we created small hangers that can be hooked on bikes parked around town.